Daniel Monte | La moraleja S.A. So far Daniel Monte has created 11 blog entries. Given the importance of the area where the farm is located, as a natural corridor linked to the Pizarro National Reserve, in Salta, La Moraleja is working with the ProYungas Foundation. They have developed a restoration and conservation plan in the region. The proposal is framed within the context of the National Restoration Strategy promoted by the National Ministry of Environment. La Moraleja and ProYungas are working in four areas: A) Restoration of intervened areas; B) Monitoring of biodiversity; C) Implementation of private conservation areas; D) Contribution to regional conservation. A) Restoration of intervened areas: This is done in 1,080 hectares, through a reforestation plan with native species and intervention for their natural recovery. C) Private preservation areas in the remaining forest spaces within the farm, under the figure of Private Reserve. The proposal will include 6,566 hectares of forest, including 1,080 restored hectares. D) Contribution to regional preservation, in support of the efforts of the Province of Salta to add natural areas to the Pizarro National Reserve, in accordance with the criteria and methodologies defined by the National Administration of National Parks. Due to the advanced nature of the commercial cycle, shipments will not be made this year; expectation for its opening of China and India. SAN MIGUEL DE TUCUMÁN. – After a long process of more than 15 years, which included multiple political negotiations and technical missions, the long-awaited reopening of the North American market for Argentine lemons became a reality. In Tucumán, where more than 80% of the national production comes from, around 1.5 million tons per year, they celebrated the measure because they believe it will help the growth of the activity and facilitate the opening of other important markets, such as Asia. As confirmed yesterday by the Animal and Plant Health Inspection Service of the United States Department of Agriculture (Aphis-USDA), the authorization for the entry of Argentine lemons in that country will take effect as of 26 of this month. However, the producers of Tucumán estimate that they will only be able to export to that market in 2018, due to the fact that this year’s citrus season is very advanced (it extends from April to July) and it is necessary to carry out different administrative steps prior to commercialization. Sánchez Loria said that, according to private estimates, in 2018 they could be exported to the US. some 20,000 tons for an amount of US $50 million. “We believe that this is a very good volume to start in this new market,” he said. And he recalled that in 2016 Argentina exported 279,543 tons of lemons (more than 75% to the European market) for US $357 million. Sánchez Loria agreed with the diagnosis. “It is a very good window for international trade to have a client like the United States. Although for each market there are particular requirements that must be met, this measure can help to achieve the opening of markets like Asia,” he said. The reopening of the North American market for the Tucuman lemons was also celebrated by the Tucuman governor, Juan Manzur, who announced that “the next objective linked to the lemon industry is to locate a pectin factory in Tucumán”. In the private sector they believe that the opening of the North American market benefits the expansion programs to other destinations. The president of La Moraleja, a company based in Salta, Maximiliano Klix, said that this year he plans to double his shipments abroad and exceed 500,000 boxes. “The company’s strategy to increase its presence in the international fresh fruit market is enhanced by the recent commitment to open the US market,” he said. The company’s main export markets are Russia and the European Union. In the local market, La Moraleja is the first seller of fresh lemon with its Montesol brand. It is also one of the main exporters of industrialized lemon products (oil, juice and husk). The executive clarified that the growth prospects depend on the volume of the total harvest. 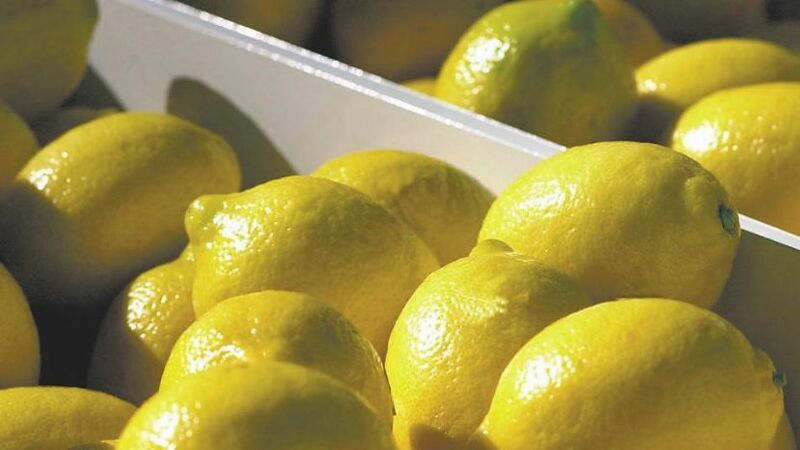 The first seller of fresh lemon in the Argentine domestic market, the La Moraleja firm from Salta, announced that it expects to double its shipments abroad of this product during this campaign and exceed 500,000 boxes. 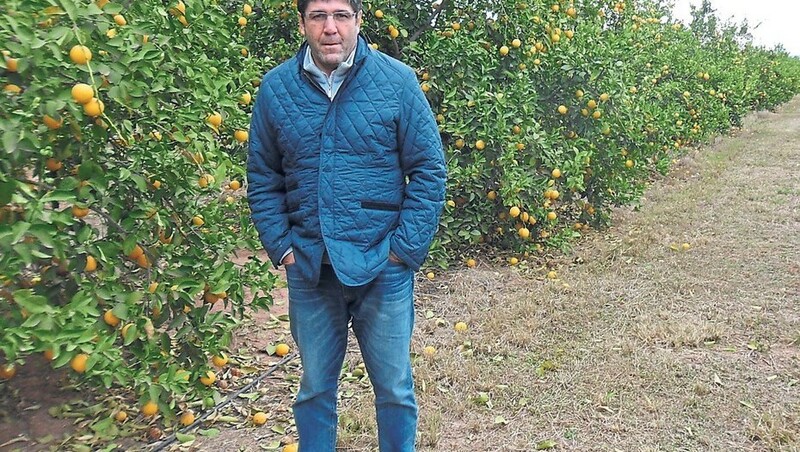 The company, owner of the Montesol brand, began its fresh lemon exports in the 2017 campaign last March, and aims to expand its participation abroad with new customers. “The company’s strategy to increase its presence in the international fresh fruit market is enhanced by the recent commitment to open the US market,” stated Maximiliano Klix, President of the company. This reopening of the US market was recently confirmed after President Mauricio Macri’s trip to the United States. Among the main destinations of its sales are countries such as Russia and those of the European Union. As reported, the good prospects are based on a significant harvest of the lemon compared to the previous season and that international prices are maintained. The company is also one of the main exporters of industrialized products which derive from lemon, such as by-products as oil, juice and husk. The tendency among participants in all categories was to leave known practices to add value; Gold was won by Grupo Puerto Las Palmas. In what is already the end of the year celebration of the field, the sixteen awards for Agricultural Excellence and Gold were presented to the Puerto Las Palmas Group. The event organized by Banco Galicia and La Nación newspaper brought together about 300 guests at the central restaurant in Palermo, who followed suit with the winners of each category. It was a night where optimism reigned and was different from that of the last editions for many reasons, the most visible being the presence of ministers and officials of the national and provincial governments. To check once again the change of political climate and the goodbye to the sterile confrontations of the past, it was enough to see the producers and entrepreneurs mixed up with Francisco Cabrera, Minister of Production, and with Leonardo Sarquis and Sergio Busso, Ministers of Agribusiness of Buenos Aires and Córdoba. They talked and listened at their discretion. Another issue that made this edition different was the quality of the papers presented. They made it clear that the accent of the companies is definitively placed on innovation. It was not by chance that the category with the most participants was Innovation and Development, with 41 presentations. But the vocation to take a step beyond the areas of productive comfort where everything is controlled spilled into the rest of the categories. This is the case of farmers who, despite being very efficient at producing, are not satisfied and risk marketing meat. Or fruti horticultural producers that put brand to their products. There were also those who integrate their production in a virtuous circle as was the case of the Puerto Las Palmas Group, which won Gold. In the town of La Leonesa, Chaco, they integrate the production of rice with the pacú, which they process in their fridge and market. They do not throw anything and use all the by-products in the rice processing and balancing plants. They transformed a region considered marginal to an area of high potential for rice and pacú production. That capacity for transformation was also present in the rest of the prize participants and was the main cause of the night’s optimism. It was awarded for its model of innovation and integration of productive and industrial activities. From being a family company that produces rice for 30 years in the town of La Leonesa, Chaco, to develop a system where the rice crop is rotated with the pacú to which they process and market in more than 12 different cuts. To complete the integration they installed plants for balanced extruded fish and rice processing. A unique scheme in the country. They were awarded for their constant innovation in the production of seed potatoes in the Calchaquí valleys west of Tucumán. They are pioneers in the storage of seed potatoes, mechanization of production and now they have advanced with irrigation. They implemented a pressurized gravitational irrigation project with a dam and 40 kilometers of pipes to distribute the water in 400 productive hectares. They also added the production of lettuce to supply Mc Donald’s. It vertically integrated its production in a marginal livestock region such as Mendoza and San Luis where they have breeding and feedlot fields. The company rents a refrigerator where it slaughters heifers and young steaks whose cuts and sausages it sells in Mendoza in three stores under the brand “Mi Estancia”. They also sell another quality of meat in two other stores under the Don Justo brand. On average they work 580 heads per month. They have 4 trucks of their own. It is the largest lemon producer in the country in a single cloth with 4000 hectares of plantation. They are watered by the localized drop-type irrigation system and works by gravitational force. It uses the slope of the land to transfer the water stored in two dams fed by natural sources of water: from the river and from the precipitations. It does not require external energy, nor does it use fuels. It is an eco-friendly system, it does not generate pollution, nor does it affect the aquifer. He developed the first herbal spa in the country with an excellent service in wellness tourism. Per Aqua is a rural company dedicated to the development of relaxation and gourmet products and to phytotherapeutic health services. The gourmet line has products such as jalapeño peppers, ground herbs, seasonings and vinegars, spicy salts, flavored wines and coffees. Per Aqua products integrate the so-called natural foods without preservatives. By understanding that in agricultural education “the digitalization of agriculture” is a fundamental discipline for students, this educational institution implemented a novel program. They train teachers in digitalization; they incorporated equipment and software for students with hours of case practice and deepened the interrelation between the different disciplines such as biology, agronomy and mathematics. Last year they achieved record individual productions. On a rodeo of 7000 milking cows, they obtained 36.5 liters per cow of average annual production. The rodeo is distributed in two modules with a rotating platform for milking that has a capacity to milk more than 500 cows per hour. This allows milking the entire rodeo three times a day. Since 2005, Adeco has been producing milk in 100% dairy farms with a bed of sand. They were awarded for their model of integration and high productivity. They obtained a delivery rate of 92.6% and 2.56 deliveries per female per year. In post weaning and fattening achieved daily gains of 511 and 942 grams respectively. In terms of integration, the production of cereals and oilseeds from their fields in Bolívar are the basis of feeding the pig farm. They sell their animals via media res or processed under the La Ibérica brand. Its revolutionary head for corn model MDD-100 allows harvesting in multiple distances between lines or directions of advance without adjustment, keeping the collection losses limited and without resigning productivity. It is one of the most recognized products nationally and internationally. The head is located in the markets of the USA, Canada, South Africa, Australia, Mexico and Colombia. In US, there are more than 60 teams working. They are managed with the principles of responsible forest management established by the Forest Stewardship Council, certified by external audits. The FSC seal on the products guarantees traceability from the forest to the consumer. They also carry out an intensive management that allows maximizing the production of quality wood, increasing the proportion destined to high added value products. They process 300,000 annual tons of eucalyptus and pine for offset boards. They achieve that the production of the 1200 hectares of the Alto Valle of apples, pears, peaches, peaches, plums and apricots, that they pack and conserve, is marketed as high quality fruits and can capture the best prices. In addition, thanks to its refrigeration capacity, which reaches 35,000 tons, they can distribute and sell their fruit throughout the year despite the marked seasonality of production. He was awarded for the result of the sales of Angus and Hereford players in his three annual auctions. In Angus, 311 PC bulls averaged 62,952 pesos resulting in 32% higher in price to the main cabins and 46% over the auctions sponsored by the race. While in the Hereford breed about 173 PR bulls obtained an average of 55,177 pesos, 36% higher than the main cabins. They obtained the first cultivar of Festuca Arundinacea developed by an Argentine company that will be introduced in the North American market. Growing allows solving the problems of lack of permanence in climate zones with high temperatures. It is the result of integrated research between Gentos, the Samuel Roberts Noble Foundation of Oklahoma and Agrisearch Grasslands of New Zealand. When diagnosing that the cause of the social questioning to the productive activity of the land is the ignorance, Aapresid undertook the Aapresid Classroom Project that impelled the partners of the 37 regional ones to develop oral dissertations in schools of the different localities. Since 2009, 280 talks have been registered with more than 12,000 attendees in 9 provinces with the participation of more than 50 members and 25 speakers. For 34 years they have been making fodder reserves. They have the idea of not increasing the number of clients but each client to increase their chopping surface. Last season they exceeded 13,500 hectares silage with the same customers as ten years ago. To provide a better service, they installed a portable laboratory that analyzes the silage that is left to the producer in the field. When applying nanotechnology they obtained a different 2.4 D formulation with great comparative advantages that were already proven in more than 5 million hectares. Use up to 50% less active ingredient per hectare to exercise the desired control, while providing additional benefits such as low odor, low volatility and not inactivate in hard water. It discontinues the use of any adjuvant. 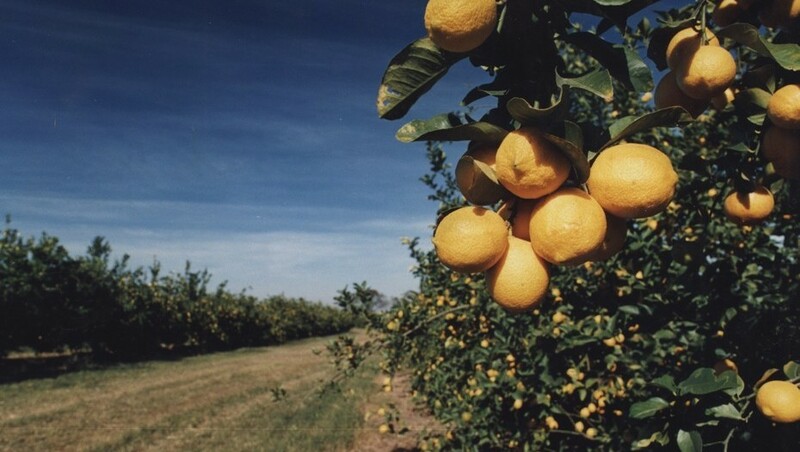 A study by the Mediterranean Foundation indicates that the citrus sector is the most competitive of Argentine exports. The shipments of that complex (fresh lemon, lemon oil and lemon juice) far exceed the placements of other products. In the case of fresh lemon, its share in the world market reaches 15% and lemon oil at 40%. As a comparison, the share of tea exports reaches 1.8%, apples, 2.1%; beef (2.6%) and wines (2.6%). Only pears reach a similar share with 14.6%. Citrus exports reached US $ 570 million, with an average annual growth rate of 9% during the last 15 years. Argentina is among the main producers and exporters of lemon. Its most important clients are developed countries, with a large participation of the European Union. The counter-season factor helps. The work, directed by Jorge Vasconcelos, focused on the case of La Moraleja, a company located in Salta, far from the largest productive center of Tucumán. They took it as an example to analyze how an expansion of the agricultural frontier can be achieved. La Moraleja, which has 4,000 cultivated hectares, is about to expand to 5,000 hectares, which will allow a production of 160 thousand tons per year. La Moraleja sells industrial products, above the national average. Of the total billed by La Moraleja in 2015, 4% were sales of fresh lemon, while the remaining 96% was industrialized products. On the other hand, 95% of the total billed in 2015 was explained by sales to the external market. While Argentina is closer to achieving the opening of the North American fresh lemon market, after a recent visit of plant health inspectors from the United States to the country, Mediterránea Foundation disseminated a study highlighting the competitiveness of the productive chain of that fruit. According to the report, the lemon citrus complex is the one with the greatest international insertion compared to other agri-food chains. The exports of the three main products of the lemon activity (fresh, oil and juice) “captured almost 15% of world exports for the average of the 2010/14 period”, according to the report. In the case of lemon oil, the market share is still higher: 40%, says the report prepared by economists Jorge Vasconcelos, Jorge Day and Guadalupe González, from Ieral (research institute of Mediterránea Foundation. When comparing the market share of other products of the regional and agroindustrial economies over the same period, the report argues that tea captured 1.8%; apples, 2.1%; beef, 2.6%, and wines, 2.6%. Only the pears are close to the yields of the lemon chain, since the market share reaches 14%, the work sustains, based on data from Comtrade. In turn, Argentina exported lemon and derivative products for US $570 million. In addition to the macro numbers of the lemon complex, the work of Mediterránea Foundation analyzes the case of a productive enterprise located in Salta, in the La Moraleja field, a non-usual area for the production of lemon since it is mostly made in Tucumán. This field, of 3000 hectares, is the result of the transformation of a forest area into a production area where drip irrigation is practiced. In addition, a diversion channel and a dam were built to overcome the problem of irregular rainfall in the area. The work of Mediterránea Foundation maintains that the La Moraleja enterprise has a participation in the industrialization of the lemon above the national average. Of the total invoiced, “4 percent was represented by fresh lemon sales, while the remaining 96% was sales of industrialized products,” he points out. One of the advantages of the greater degree of development at the origin of the products is that while transport costs (Salta-Buenos Aires) represent 8% for fresh lemon, for oil and husk they represent 0.6 and 0, 4%, respectively, sustains the report. In Apolinario Saravia, 250 kilometers east of Salta capital, in the La Moraleja farm, the lemon production is world leader. A story to tell. If the objective of many in agriculture is to achieve a vertical integration of production and add more and more value to the harvest, to be competitive and generate more and more jobs, the lemon production of tip, like the one that develops on the farm La Moraleja, in Salta, achieves this with great skill. But, to begin with, some data of this sector. During 2015, the harvest of lemons in the country was more than one million tons, of which 25% is destined for fresh fruit (mostly for export) and the remaining 75% is processed in the industries. According to the Argentine Federation of Citrus, the Argentine production is 15.42% of the world, but 37% of the industrial processing of the lemon that is made in the world takes place in Argentina. At that point, the Argentine north is strong, as companies in Tucumán, Jujuy and Salta. La Moraleja is one of the most important of them. The discharge of the lemons and the first selection, at the beginning of a wide industrial process that is done in the department of Anta. The company was founded 37 years ago in Apolinario Saravia, in the department of Anta, in the east of the province and has the peculiarity that it carries out integration from end to end. They buy the seed from the experimental stations of INTA Famaillá and Yuto (although they are in the process of obtaining their own seeds) and then continue to industrialize the lemon in different ways. On the farm, of more than 14,000 hectares, the lemon plantation occupies 3,500 hectares and produces a total of 135,000 tons. 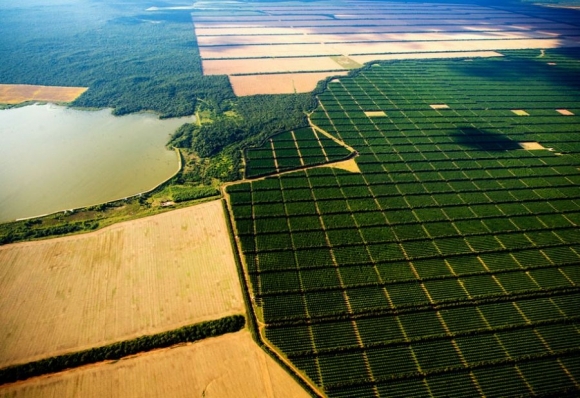 “We plan to add another 200 hectares per year for 5 years, until reaching about 5,000 hectares of this crop, which would allow us to obtain a production of 160,000 tons,” said Maximiliano Klix, president of the firm, Clarín Rural. It was sometimes said that agriculture does not generate employment, but La Moraleja is the main employer in the Anta area. There work between 1,500 and 1,800 workers during the harvest season (March to August). To get to that instance, the key to production is its high frequency localized irrigation system, which has the type of drop that goes where it has to go, by gravitational pressure, taking advantage of the slope of the ground. Irrigation is a key topic. For that, they have two dams: one with a capacity of 8 million cubic liters and the other with 3 million cubic liters. “This is the heart of everything,” says Klix. From there they supply an aqueduct that has a distance of 65 kilometers, whose function is to leave the water at the head of each irrigation module. These modules, of 100 hectares, are subdivided in turn into 4 parts of 25 hectares each, from which the water is delivered to each plant according to their needs. With this irrigation system, they seek to have a sustainable production, since they do not use combustion engines that can be polluting. Irrigation is essential, precisely, in this time, until the rains begin. “Here it rains an annual total of between 800 and 900 millimeters. The springs are dry in general. And we must pray that it will rain when summer is coming,” said the president of the firm. Once harvested, the lemon is transported to the industrial plant that the firm has in the same farm, for processing. There they can process 1,000 tons per day and produce three products: lemon essential oil (used in the food industry), cloudy and clarified concentrated juice and dehydrated peel, which are used as a raw material for the production of pectin (a substance which in turn is used to gel foods). On the farm they not only industrialize their own production, but also buy lemons from other producers, even from neighboring provinces such as Tucumán. In fact 80% of what they industrialize is their own production and the remaining 20% is from third parties. Claudio Crivelli, in charge of the plant, says that one of the keys is to invest constantly. “In the inter harvest, we always make adjustments to improve efficiency and increase our production capacity,” he explained. 200 people work permanently at the factory he runs. With such production, the treatment of effluents is a key issue. For this reason, they separate the solids from the liquids with the purpose that the liquids (after neutralizing the acidity) serve to be reused in the irrigation of the production of trees that the company has. The solids, on the other hand, are destined to feed the cattle with which the company also counts. The production of La Moraleja is clearly focused on export: 85% of its turnover comes from business deals made with Russia, Spain, Holland and Italy. Commercially, one of its main advantages lies in the fact that the harvest begins months before its Tucumán competitors, as well as being out of season with respect to the northern hemisphere. The amendment of the exchange rate helped them to recover international competitiveness. “But like any labor-intensive and export-focused industry, the internal costs rise. We understand that a point of equilibrium must still be found, “said Klix. ​In the La Moraleja farm, in Salta, horticultural production also has an important place. This activity occupies 40 hectares of crops under cover, of which 22.5 are tomatoes, 10 of melon and 7.5 of pepper. In total, they have 80 greenhouses of half a hectare each. In addition, they produce watermelon, but in the open. Ramón Palma is in charge of horticulture, which is done in a greenhouse. About 100 people work in these tasks, but in full harvest the figure grows to around 140. These products, unlike lemons (See The field is industry…), are mainly destined to the domestic market: they come with their own brand to the Central Market, in Buenos Aires. “The cost of freight is what complicates us the most”, says Ramón Palma, in charge of the horticultural production of La Moraleja. Tomatoes, for example, are harvested in August, September and October and produce 100 tons per hectare. On a scale rarely seen in Argentina, La Moraleja is the most striking case of the power of transformation of man over nature to generate food and jobs. 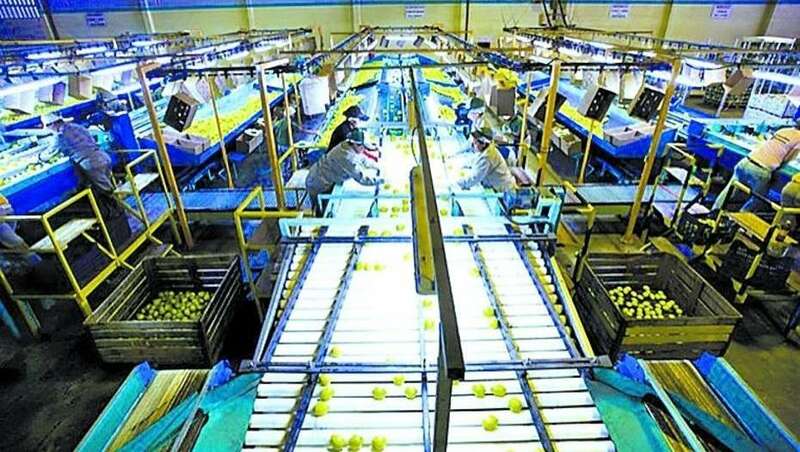 Where there was a mount in Salta, today there are 3000 hectares of lemons drip irrigated, probably the largest area in the world under this system and a factory that industrializes and exports 90% of its products: lemon oil, concentrated juices and dehydrated skin. We must add as a secondary activity, if the term fits the dimensions, 40 hectares of greenhouses to produce tomatoes, peppers and melons. And where no more than a dozen workers could be employed in an extensive activity, 1,500 people are employed, 400 in a fixed way and 1100 as harvest workers. 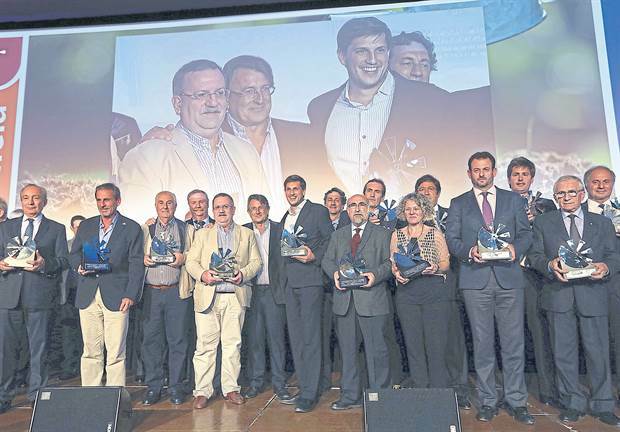 The beginning of this productive miracle, which last year won in the Best Agrifood Industry category in the Award for Agricultural Excellence granted by La Nación and Banco Galicia, is due to obstinacy and stubbornness. Ignacio Blanco is a Spanish agronomist who arrived to Argentina at the beginning of the 80s, commissioned by the Sanchis family to take over the field they had bought in Salta. Ignacio Blanco was clinging to a truth he had learned in the region of León where he had been born and barely raining just over 400 millimeters per year: without water, there is no possible production. The first thing he observed was that the field of Apolinario Saravia had a variable rainfall regime and was in the summer months. The 800 millimeters per year fell all together and did not change the situation of crop water deficit. But the water that did not come from the storms was in the Cabeza de Vaca stream that passed through the establishment. The water course went through an absolute indifference without anyone thinking of taking advantage of it. For Blanco, this situation represented the height of nonsense. He then persisted in using many years to build, with limited resources and own machinery, a channel that separates the stream and a 200-hectare dam with the capacity to store 11 million cubic meters of water. And he could locate it in the highest part of La Moraleja so that, by gravity, and without the use of energy, the entire surface could be watered. “Everyone here was against this idea. They thought I was crazy. The important thing is that the dam worked and never broke. Without water we were never going to be able to water the lemons and the greenhouses and get to have this productive project,” says Blanco, today with more than 70 years. Once the dam was built, it was thought to irrigate sugarcane crops. Until lemon appeared. Or rather the agreement with one of the world giants of soft drinks, whose name they maintain in the utmost confidentiality, which assured them the purchase for 20 years of the lemon oil. This gave them a security and a horizon to bet heavily on the project and generated the final turn to La Moraleja. So they set to work and while the lemon plants were growing they started the construction of the factory that took them about two years. They had to synchronize the production times with those of the industry until joining the full integration. It was not easy if you take into account that the process begins in lemon seedlings in greenhouses that are then grafted to tangerines, for having a better and healthier root system, to then be transplanted in the field. A process that takes at least four years until the profitable production of lemon has just begun. From then on, each plant can produce lemons per year 2000, although it is very variable. In La Moraleja, a 200-hectare dam stores water to irrigate through the drip system 3000 hectares of lemons; after harvested, they are industrialized in oil, concentrated juice and husk to be exported. APOLINARIO SARAVIA, Salta. – On a scale rarely seen in the country, La Moraleja is the most striking case of the power of transformation of man over nature to generate food and jobs. Where there was a mount in Salta, today there are 3000 hectares of lemons drip irrigated, probably the largest area in the world under this system and a factory that industrializes and exports 90% of its products: lemon oil, concentrated juices and dehydrated skin. We must add as a secondary activity, if the term fits the dimensions, 40 hectares of greenhouses to produce tomatoes, peppers and melons. And where no more than a dozen workers could be employed in an extensive activity, 1,500 people are employed, 400 in a fixed way and 1100 as temporary workers. The beginning of this productive miracle, which last year won in the Best Agrifood Industry category in the Award for Agricultural Excellence granted by La Nación and Banco Galicia, is due to obstinacy and stubbornness. Ignacio Blanco is a Spanish agronomist who arrived to Argentina at the beginning of the eighties, commissioned by the Sanchis family to take over the field they had bought in Salta. Ignacio Blanco was clinging to a truth he had learned in the region of León where he had been born and barely raining just over 400 millimeters per year: without water, there is no possible production. The first thing he observed was that the field of Apolinario Saravia had a variable rainfall regime and was in the summer months. The 800 millimeters per year fell all together and did not change the situation of crop water deficit. But the water that did not come from the storms was in the Cabeza de Vaca stream that passed through the establishment. The water course went through an absolute indifference without anyone thinking of taking advantage of it. For Ignacio Blanco, this situation represented the height of nonsense. He then persisted in using many years to build, with limited resources and own machinery, a channel that separates the stream and a 200-hectare dam with the capacity to store 11 million cubic meters of water. And he could locate it in the highest part of La Moraleja so that, by gravity, and without the use of energy, the entire surface could be watered. “Everyone here was against this idea. They thought I was crazy. The important thing is that the dam worked and never broke. Without water we were never going to be able to water the lemons and the greenhouses and get to have this productive project,” says Blanco, who with more than seventy years is a concentrate of will and knowledge. Once the dam was built, it was thought to irrigate sugarcane crops. Until lemon appeared. Or rather the agreement with one of the world giants of soft drinks, whose name they maintain in the utmost confidentiality, which assured them the purchase for twenty years of the lemon oil. This gave them a security and a horizon to bet heavily on the project and generated the final turn to La Moraleja. So they set to work and while the lemon plants were growing they started the construction of the factory that took them about two years. They had to synchronize the production times with those of the industry until joining the full integration. It was not easy if you take into account that the process begins in lemon seedlings in greenhouses that are then grafted to tangerines, for having a better and healthier root system, to then be transplanted in the field. A process that takes at least four years until the profitable production of lemon has just begun. From then on, each plant can produce lemons per year 2000, albeit in a very variable way, achieving its peak of production in the ninth year. Its end of cycle is around eighteen. It goes without saying that all the activity around the lemon, from beginning to end, takes a lot of labor. They calculate that making a lemon plant leaves around $10. “You make the road by walking. Errors are natural, but the ability is to change on time and not insist on mistakes. That was our great skill,” confesses Ignacio Blanco as a piece of advice. The commercial agreement that guaranteed them the purchase of lemon oil for twenty years also allowed them to give another great twist on the project: install drip irrigation on the entire surface planted with lemons. They traveled to Israel and hired the Israeli company Naan Dan to carry out the design and advice. The aqueduct was made by the Argentine company General Plastic. At the time of construction, according to Israeli technicians, it was the largest project worldwide. With the particularity that irrigation is carried out by gravity. 7700 kilometers of pipes were used. Drip irrigation conforms to the concept of producing more with less to be one of the most efficient systems in the use of the resource. The necessary drop of water is deposited underground, avoiding the evaporations and losses that may occur on the surface. In addition to its use can eliminate diseases that arise from the contact of water with leaves. The daily decision to water is taken from the information provided by phyto-monitors. By means of sensors in the leaves, in the plant and in the soil they measure the growth and estimate the future production. In addition, thanks to the management of historical data of the region of temperature and humidity can predict from the attack of fungi until the time of the harvest. They also take advantage of the system to irrigate contributing to the cultivation of lemons doses of nitrogen, phosphorus and potassium. The demand for lemon oil by the world’s leading soft drink companies prompted an ambitious expansion plan in La Moraleja. The objective is to add 1000 hectares of lemons in the next four years. This increase will generate new jobs. They estimate that they will have 450 fixed and 2100 temporary people by the time the project ends. Although protagonist, the lemon is not the exclusive actor of La Moraleja. The 15 hectares of tomato and melons respectively and the 10 hectares of pepper, all under greenhouse and drip irrigation, occupy a prominent place from the commercialization under its own brand, Montesol. They invoice 2.5 million dollars per year and demand a large labor force of 4 wages per hectare. “Our strength is in trying everything we can, be new varieties as new techniques. We are constantly adapting, not copying, the good that we see outside,” says Ramón Palma, responsible for horticultural production.